It wouldn’t be all that surprising to see digital painting completely replace the old pencil-and-sketchbook method used for centuries. 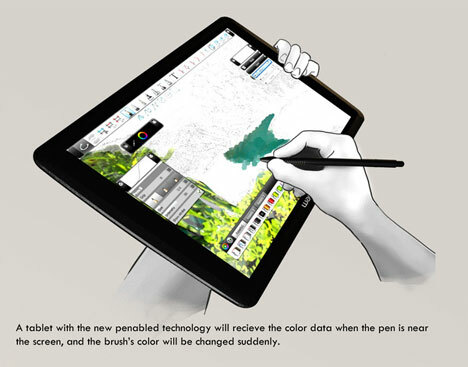 After all, a tablet and a digital pen have limitless possibilities as far as color, line size and brush shape go – and there’s no need to carry a whole case full of different tools. The Chromopen concept from Ehsan Sayyad would help artists capture just the right color from their surroundings whenever inspiration strikes. 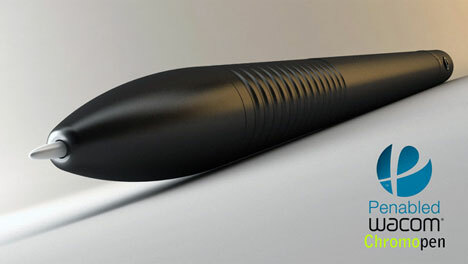 A small camera in the body of the pen is pointed at any object to “borrow” its color. 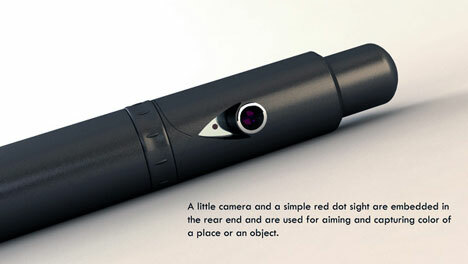 A tiny red sight dot tells you where you’re pointing and a small screen on the back of the pen displays the color you’ve captured. In this way it would be simple to trap the perfect shade of green for a landscape painting or just the right type of red for that still-life. 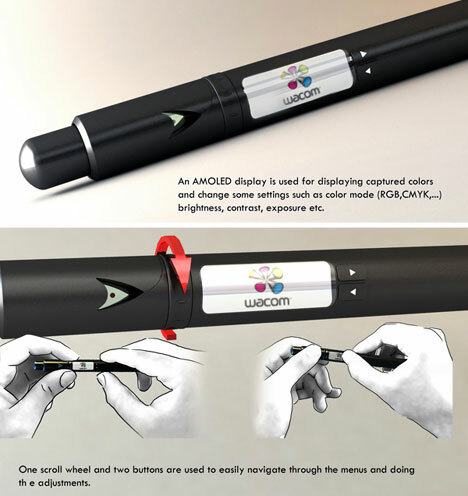 Near the display screen, a set of buttons lets you change a limited number of settings such as the brightness and saturation of a color – or even switch between CMYK and RGB color modes. 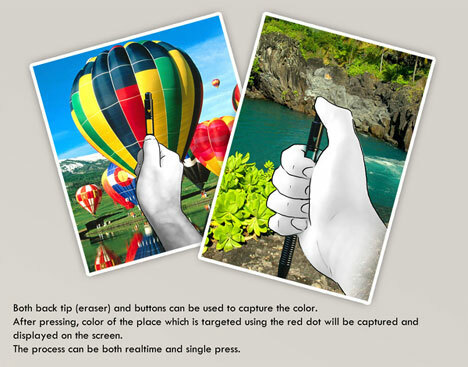 The “eraser” bit of the pen is pressed down to activate the camera and catch the color. Then the digital pen pairs with a Wacom tablet to make some lovely digital art with colors borrowed right from real life.